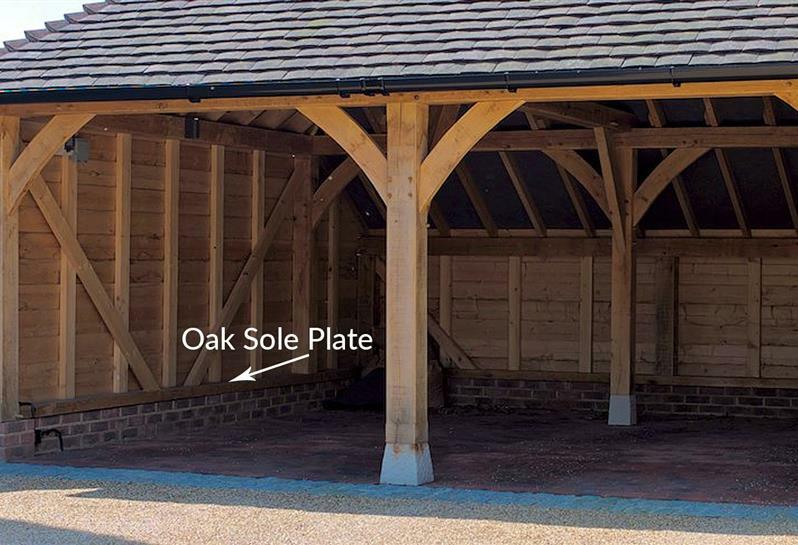 Oak Building Accessories - Oak Designs Co.
Oak Designs offer a range of accessories and upgrades for your Acorn Garage or Outdoor Living Building. This is to give you as much flexibility as possible in designing the perfect building for you. If you would like extra doors or perhaps the addition of a window, please see below for the available accessories and upgrade options. 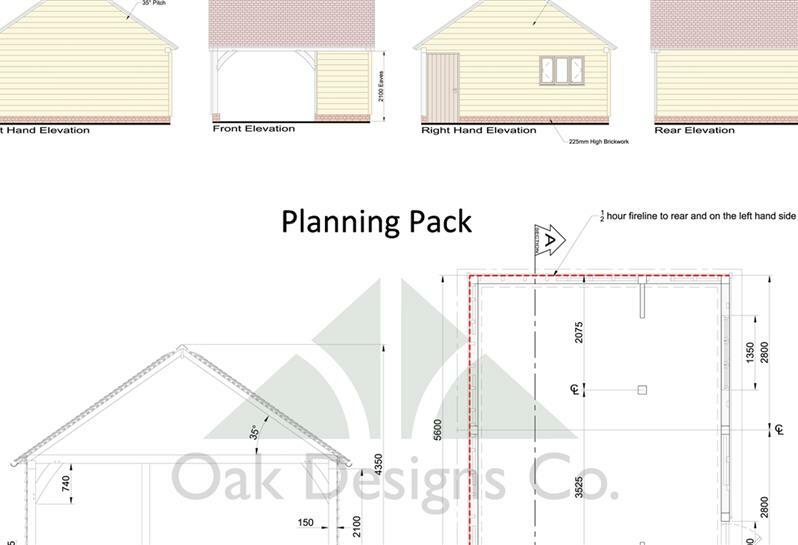 If you wish to submit your own planning application we can provide AutoCAD technical drawings which include scaled plans and elevations for your selected Acorn building for you to submit with your application. The cost is £50 excl. VAT and is refundable against the final invoice on your order. If you require further assistance with your planning please do not hesitate to contact our Sales team or in- house Surveyors. Our bricks are specially manufactured to a width that fits flush to the soleplate which sits above the bricks this gives more space within the building. Our ODC facing bricks are an attractive reddish blue in colour and can be supplied to you by a pallet delivery process ahead of receiving your oak frame. This allows groundworks to be constructed by us or your contractor prior to receiving the oak frame on site. There are many benefits and hidden cost savings if you choose our ODC facing bricks, please call our sales team for further details. This is the stone that sits underneath any independent oak posts to raise them up from damp and rain. The stones are designed to fit perfectly with the oak post. 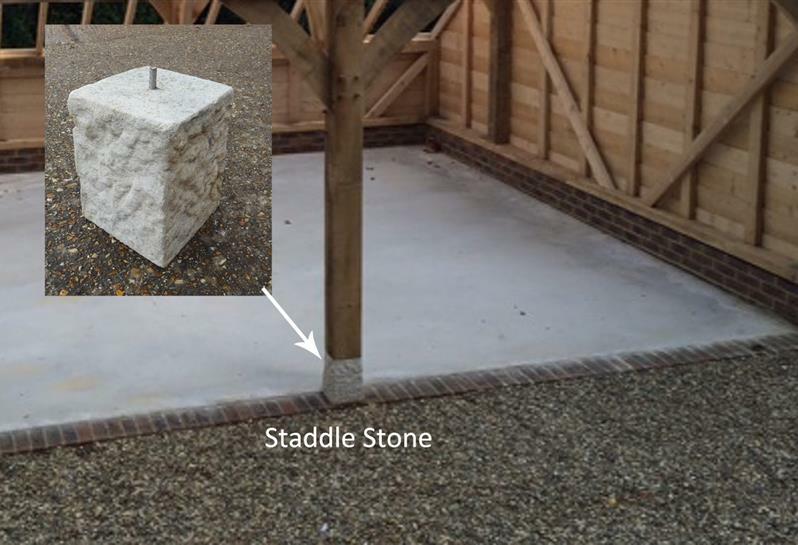 Staddle stones are included in the timber kit for each Acorn Garage design, however if you wish to buy additional stones please let our sales team know when you are placing your order. Our garages do not come with windows but if you are adapting one of your bays into an office, home gym or perhaps a workshop, you may want to benefit from some natural light. As with all of our ‘made to order’ joinery, the mullion window is available in softwood, idigbo, iroko or oak, with a fixed glass pane set behind turned vertical mullions, this character window will enhance any building design. The standard personnel door is frame and ledged with v-jointed vertical boards. It includes a door frame and black ironmongery to fit on site. 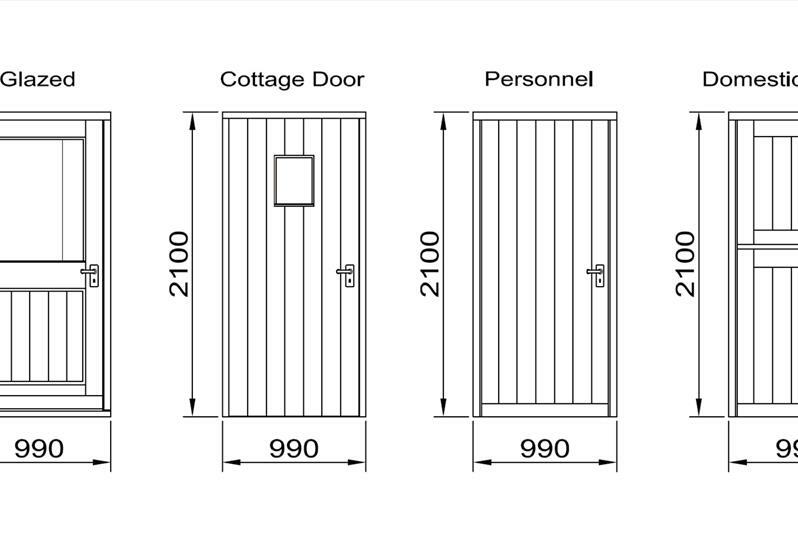 The personnel door comes in the option of Oak, Idigbo, Iroko or softwood. Please refer to our Material Specification page for wood treatment protection that we would advise on applying. 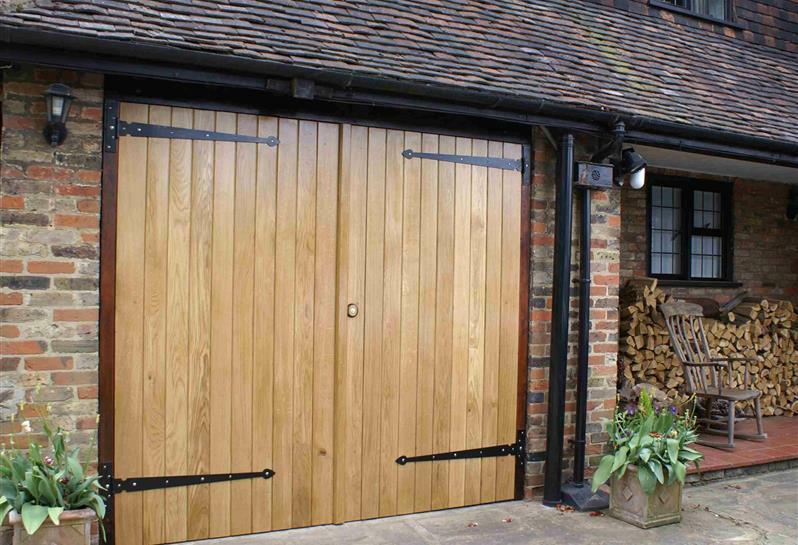 If you are ordering a Garage from Oak Designs and would like additional doors then please let let us know during the ordering process and these will be supplied with your frame. Many of our Acorn Garages have doors included in the design and price which we will clarify with you at the point of ordering, but if you'd like to order more, this is possible. Please note. Doors supplied as standard are softwood. Other wood types are also available: Oak, Iroko & Idigbo. Please see our Material Specification for advise on how to protect your doors. 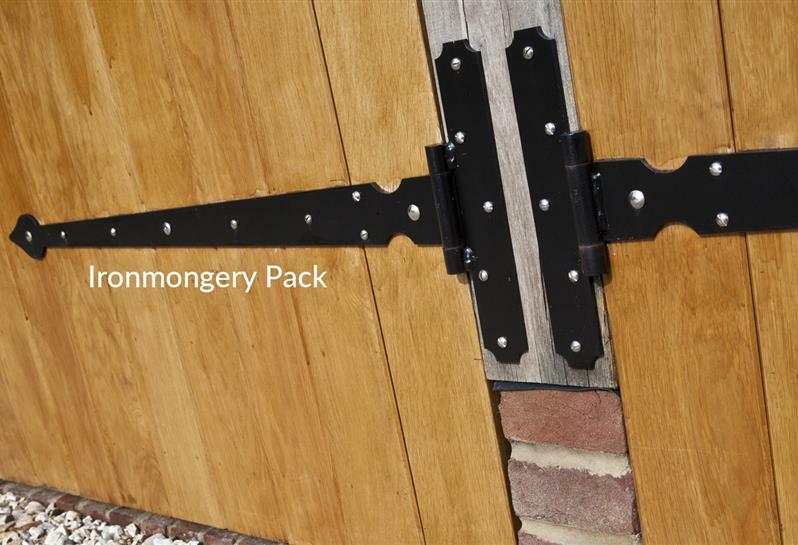 • 2 pairs of attractive arrowhead black painted steel barn hinges with fixings to oak posts. • Escutcheon bar lock with two sets of keys. • Timber cover Escutcheon plate to match doors. • Long monkey tail bolt. • Short monkey tail bolt. Partitions are a great addition when wanting to create different spaces within a building and allow it to be used for multiple purposes. Partitions are supplied as a kit with clear treated softwood studwork and weatherboard to one side. 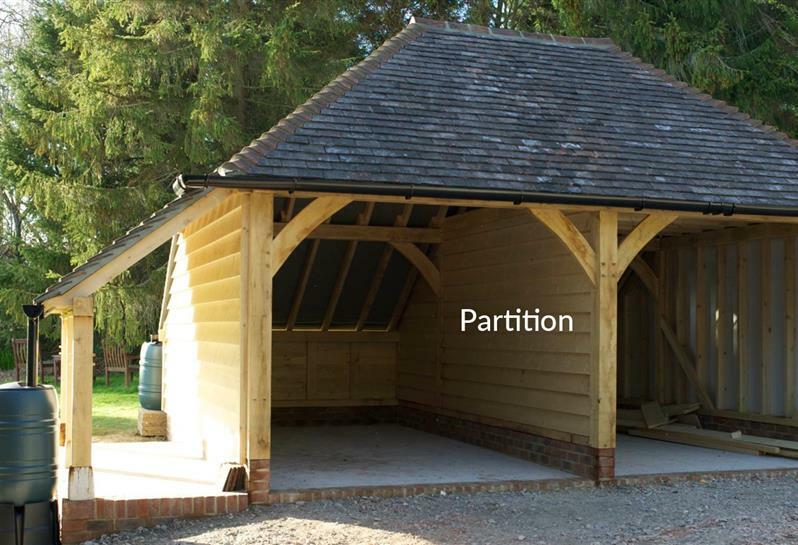 All our Acorn standard buildings are supplied with a softwood clear treated soleplate. A soleplate is the timber plate that sits on the brick plinth. If you wish to upgrade this we can supply an oak soleplate which is a more superior durable material. If you are choosing sawn oak weatherboarding we would particularly recommend this upgrade. This is an upgrade from softwood or larch alternative. 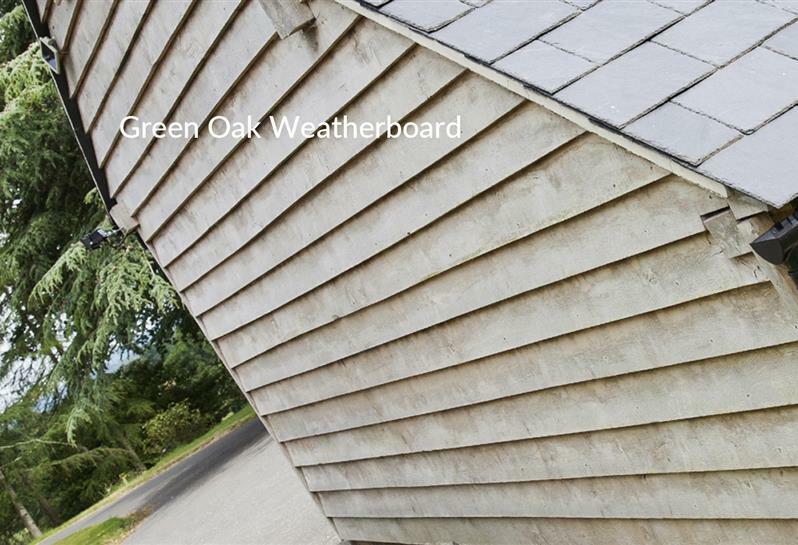 Oak weatherboard is supplied as a square edge of profile 200mm x 20mm sawn green oak and will eventually change to a silver patina colour as the building naturally weathers and ages. Weatherboard is supplied with stainless steel nails and oak stop ends.